100% glass accent flat marbles. 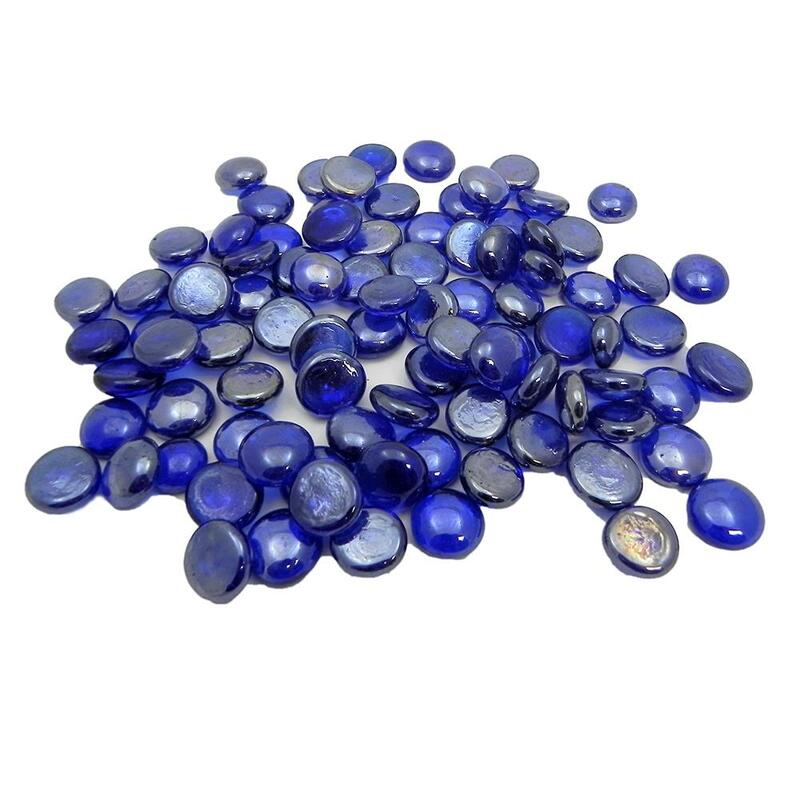 These pretty blue marbles have a slight metallic sheen. Approximately 100 Marbles come in a netted bag. Sizes vary incrementally.